Are Aluminum Serving Pieces Safe for Food? Cook with anodized aluminum or other metals rather than galvanized pans. 1 Are Nickel Lined Pans Safe? 2 Are Aluminum Serving Pieces Safe for Food? 4 What Are the Benefits of Natural Deodorants That Are Free of Aluminum? Galvanization is the process of coating a metal with zinc. This can protect the metal from deterioration, particularly when exposed to moisture and heat, such as in the case of aluminum cookware. However, this coating can react with heat and moisture, causing zinc to migrate into your foods as you prepare them. 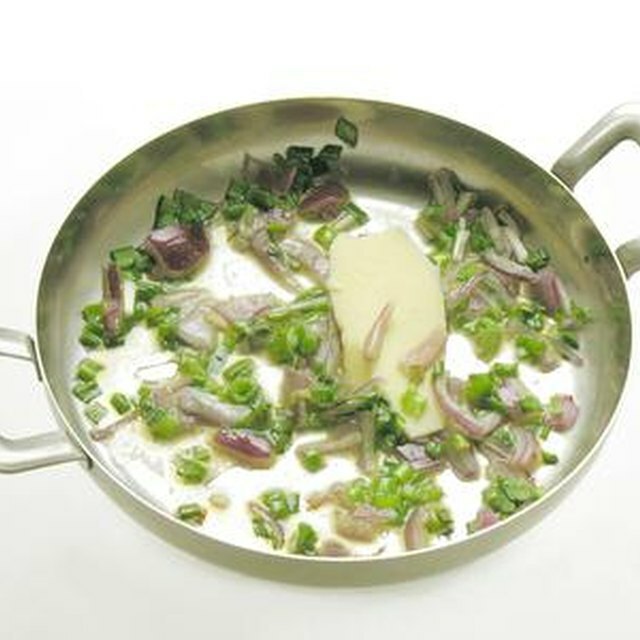 Damaged cookware, such as scratched or pitted pots and pans, can increase the migration of minerals into your food. This increased mineral content can have a negative impact on your family's health. Both aluminum and zinc are necessary minerals for your health. However, in large doses, they have negative effects on your health. The National Institutes of Health place maximum zinc levels at 40mg per day for adults, and significantly lower for children, ranging from 34mg daily maximum for 14- to 18-year-olds down to 7mg for 1- to 3-year-olds. Health Canada reports that up to 50mg of daily aluminum intake has no ill effects on adult health, but has not made the same study for children. When cooking with galvanized aluminum, you have no way to tell how much of the zinc or aluminum have migrated into your food, so you cannot tell when or if toxic levels are reached. Acidic foods increase the amount of zinc that moves from your cookware into your food. Most fruits are acidic enough to achieve this increase, whether they seem acidic, like lemons, or not, like apples. Tomatoes and tomato-based sauces are also highly acidic, and should never be cooked in galvanized aluminum pots or pans. If your galvanized coating is damaged, acidic foods also leach aluminum into your meals from the cookware. The negative effects of zinc, whether from galvanized cookware or other sources, can cause complications if you or anyone in your family is taking antibiotics, penicillamine or diuretic medications. Excessive zinc intake can reduce the effectiveness of these medications. 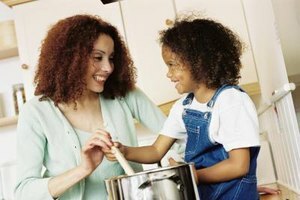 Avoid using galvanized cookware altogether if anyone in your family is using these medications. In general, the risks posed by galvanized aluminum cookware outweigh the benefits of its light weight and durability. This does not apply to all aluminum cookware, however. Anodized aluminum cookware features a nonstick coating that also reduces the migration of aluminum into your food, and it contains no zinc. Silicone, ceramics, enamel and glass are other alternatives, although you must make sure each is FDA-approved food-grade material.